Loretta Hopkins studied music at The University of Edinburgh and Birmingham Conservatoire, where she gained a postgraduate diploma, generously supported by The South Square Trust, and continues to train with Raymond Connell. In competition, Loretta was a finalist in Birmingham Conservatoire’s Mario Lanza Prize and Vienna Conservatoire's Internationale Sommerakademie opera prize. Opera roles include Violetta (cover) La traviata, Donna Anna (cover) Don Giovanni (Winslow Hall Opera); Lisa The Queen of Spades (Park Opera); Adina, L’Elisir d’Amore (Midland Opera); Micaëla, Carmen (Opera at Bearwood); Kate Pinkerton, Madama Butterfly (Lambeth Orchestra); Greta Fiorentino, Street Scene and Fox (cover), The Cunning Little Vixen, (Birmingham Conservatoire); a Sprite Fantastic Mr Fox and The Aunt Madama Butterfly (Opera Holland Park). Future plans include Violetta La traviata at the Edinburgh Fringe Festival. For Dulwich Opera Company, Mimi La bohème, Fiordiligi Così fan tutte, Donna Anna Don Giovanni, and Countess Le nozze di Figaro. Scholarship, and finalist in the 2017 Stuart Burrows Competition. Opera and concert roles include; Olga (​​Eugene Onegin​), Maddalena (​​Rigoletto​), La Zia Principessa (​​Suor Angelica​), Cornelia (​​Giulio Cesare​), Madame Popova (​​The Bear​​), Prince Orlofsky (​​Die Fledermaus​), Mrs Northwind/Old Woman/Book of Fate (​​The Enchanted Pig​), Miss Baggot (​​The Little Sweep​), ​​​​Messiah (Handel)​, ​​​Elijah​​ (Mendelssohn)​,​ ​​Gloria​​ (Vivaldi)​,​ ​Requiem​​​ (Mozart)​, ​​​Mass in C​​ (Beethoven)​, ​​​Vespers 1610​​ (Monteverdi),​​​ ​Paukenmesse,​ Maria Therisienmesse​ (Haydn), ​​​Wesendonck Lieder​​ in recital with Professor Terence Dennis (Wagner), ​​​Le bal masque​​ (Poulenc). Christie sings with the Monteverdi Choir, and is a member of the 2018 Grange Park Opera Chorus. ​An Alumnus of Trinity College of Music and former Scholar of St. Mary’s Battersea Parish Church, James Hutchings is a multi-faceted performer; combining his skills as a strong actor with a confident stage presence and golden Tenor voice. He has appeared in such prestigious venues as The Royal Albert Hall, The Royal Festival Hall, The Barbican Centre and Manchester’s Bridgewater Hall, whilst also giving performances in smaller, more intimate venues and regularly performing throughout Europe. His Operatic Work includes: Tamino (Die Zauberflöte), Don Ottavio (Don Giovanni), Lensky (Eugene Onegin), Don José (Carmen), Acis (Acis and Galatea) and Alfredo (La traviata). James also has a wide range of knowledge and experience in Oratorio Works such as: C.P.E Bach’s ‘Magnificat’, Mozart’s ‘Requiem’, Haydn’s ‘The Creation’, Rossini’s ‘Stabat Mater’, J.S Bach’s ‘St Johns Passion’ as both a tenor soloist and the Evangelist, Handel’s ‘Messiah’ and John Stainers ‘The Crucifixion’. She has since worked for many opera companies including Wexford Festival Opera, Welsh National Opera, English Touring Opera, Islenska Operan (Iceland), Opera Africa (South Africa), Opera Holland Park, Longborough Festival Opera, Dorset Festival Opera, European Chamber Opera, Travelling Opera, Opera Project and has gained a reputation for preparing singers for the Italian Bel Canto repertoire. 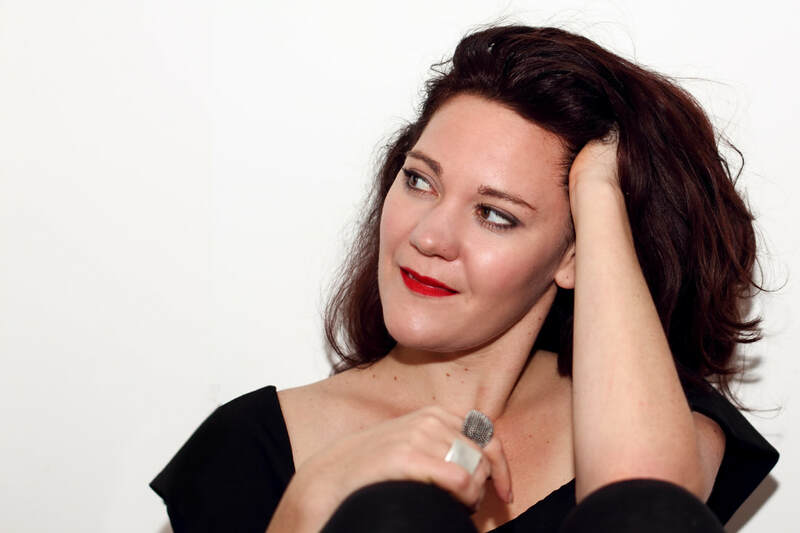 Currently a vocal coach at the Royal College of Music, her work with young singers has also taken her to Dennis O’Neill’s Welsh International Academy of Voice, The National Opera Studio, Leeds College of Music, Trinity Laban and the Kiri Te Kanawa Foundation. As Music Director, she has curated the opera scenes for the Birmingham Conservatoire (2009-2013), Songskolinn Reykjavik (2009-2015), and the short works programme at the Wexford Festival Opera (2013-2015). In concert, she has performed as an accompanist at many of Britain’s Concert Halls including St David’s Hall, Cardiff, The Symphony Hall, Birmingham and the Cadogan Hall, London. Internationally she has given recitals in Spain, Russia, Qatar, New York, Iceland, Ireland and Japan working with some highly acclaimed singers including Kiri Te Kanawa. As a choral conductor, she has directed the Welsh Gwalia Male Voice Choir (2004-2012) and the Jubilate Choir (since 2000), with whom she has gives orchestral concerts. Recent and future plans include Eugene Onegin at Dorset Festival Opera, Barber’s Vanesa and Donizetti’s Maria de Rudenz in Wexford and continuing at the Royal College of Music.